Hanoi (VNS/VNA) - Vietnamese shares extended gains on August 7 for a third session as positive investor confidence lifted sectors such as energy and banking-finance industries and several individual large-cap stocks. The benchmark VN Index on the HCM Stock Exchange rose 0.55 percent to close at 792.98 points, extending its gain for a third session from a two-day increase of 0.3 percent. The HNX Index on the Hanoi Stock Exchange added 0.46 percent to end at 102.40 points. It has risen total 1 percent in the previous two sessions. More than 311.2 million shares were traded on both local exchanges, worth 4.8 trillion VND (213.4 million USD). The trading figures on August 7 were up 2.7 percent in value and 16.4 percent in volume compared to August 4. Banking, insurance-finance, brokerage and energy sectors were the biggest gainers among 20 industries on the stock market. The four sectors posted growth rates of 0.29 percent, 0.86 percent, 1.1 percent and 0.86 percent, respectively. Among insurance-finance and brokerage companies, BIDV Insurance (BIC), BIDV Securities (BSI), MB Securities (MBS), FPT Securities (FTS) and Agribank Securities (AGR) were the firms that saw their share prices rise more than 2 percent each. Among the nine listed banks, Sai Gon-Hanoi Bank (SHB), Asia Commercial Bank (ACB), Military Bank (MBB) and Bank for Investment and Development of Vietnam (BID) were the four gainers. PetroVietnam Gas (GAS), PetroVietnam Drilling and Well Services (PVD) and PetroVietnam Technical Services (PVS) advanced to push the energy sector up though oil prices were moving sideways ahead of the OPEC meeting later on August 7. Other large-cap, mid-cap and penny stocks also contributed to the market gains, including brewer Sabeco (SAB), gas station operator Petrolimex (PLX) and property developer An Duong Thao Dien JSC (HAR). 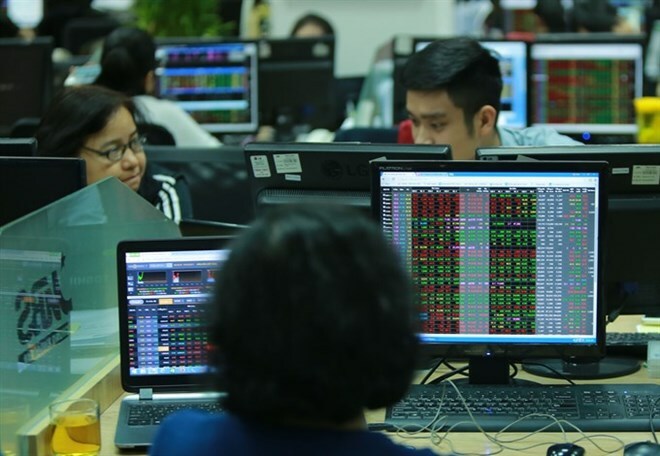 Vietnam Investment Securities Company (IVS) said in its August 7 report that the market’s gains were attributed to the increases of the three major stocks PLX, SAB and GAS. However, large-cap stocks in the VN30 Index only contributed 1.7 trillion VND worth of trading value, or one-third of the market’s total figure, meaning that these large-cap stocks were not the only reason that helped local stocks grow on August 7, IVS said. Investors switched to making investments in mid-cap and penny stocks, which is a positive signal for the market as it proved that there was a balance among local stocks on the day, the brokerage firm added.